Seal coating is essential to ensure that your asphalt pavement will serve you well for decades. However, this is a process that demands some time and planning ahead. Why do I need to seal coat my driveway? Seal coating is a protective seal that shields the asphalt from elements that can deteriorate and harm its integrity. Protecting your asphalt from the sun, weather and man-made substances like oil is essential if you have any hopes of a long-lasting installation. How often should I seal coat my driveway? The general rule of thumb is every 2 years, but if you live in a location with excellent weather or your pavement doesn't get traveled much, it could be required more or less. Going longer than 2 years will typically introduce exposure to the bare surface and create unnecessary aging. When should I seal coat my driveway? Arguably, the summer is the best time to do it, because the natural heat of a hot summer day will help sealers cure quicker and more efficiently. Applying pavement sealer once a year during summer is a fantastic way to preserve your pavement and also benefit from a fresh look through the winter. 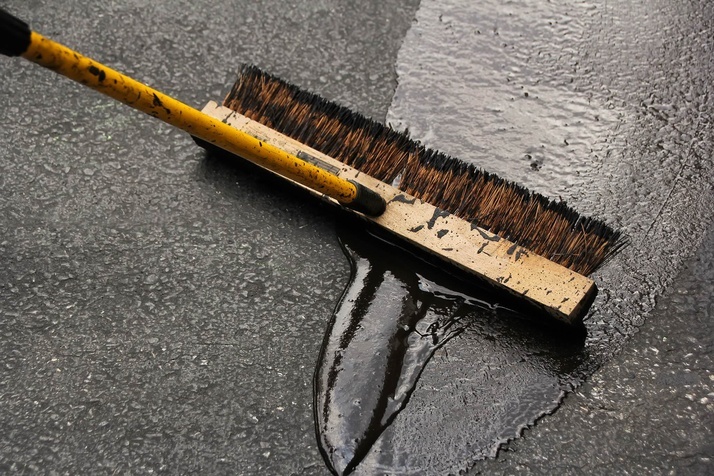 Most companies will not seal your pavement during colder months.